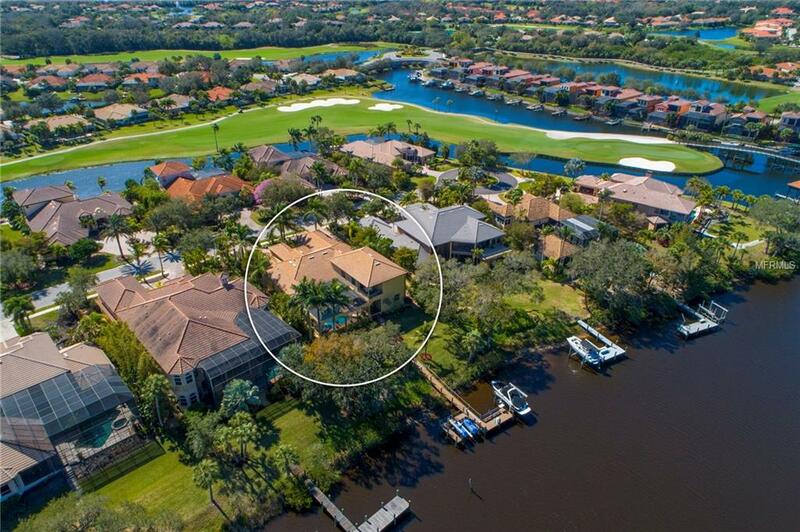 Embrace the perfect Florida lifestyle of boating and golf in this exquisitely appointed luxury home in the gated community of The Shores at Waterlefe Golf & River Club. Directly on the Manatee River, this custom Todd Johnston Home includes high end finishes and exceptional features throughout. 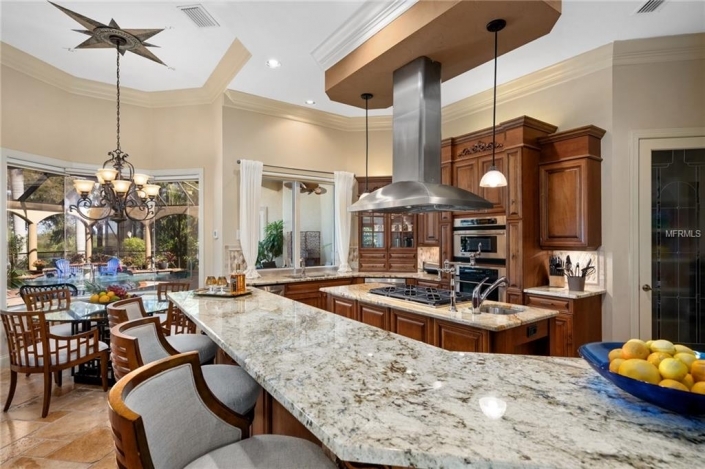 The meticulously maintained home boasts soaring coffered ceilings, crown moldings, wood & travertine tile floors, built in cabinetry, plantation shutters, & gas fireplaces. Cooks will love the GE Monogram gourmet kitchen featuring wood cabinetry, granite countertops, high end appliances, 6 burner gas stove top, separate pot filler, & warming drawer. The master bedroom is a relaxing retreat complete with gas fireplace & a wet bar for morning coffee. The spacious master bath has been beautifully remodeled with travertine tile throughout. All of the bedrooms are en-suite. One bedroom features a separate entrance with mini kitchen & may be used as a mother-in-law or nanny suite. Take the private elevator upstairs to the bonus/game room with fully appointed wet bar with dishwasher, wine cooler. You’ll love the private movie theatre to watch movies or games. Enjoy picturesque river views from the tropical pool and spacious screened lanai featuring beautifully appointed outdoor kitchen, a gas fireplace & pool bath. Enjoy both the sunrise and sunset views while relaxing on your private dock featuring 13,000 lb lift for your boat and two separate jet ski lifts. All this convenient to 1-75, Bradenton & Sarasota.